I’ve been so ready for Elizabeth to get home. I know she had a wonderful time but I just felt better knowing she was on her way home. 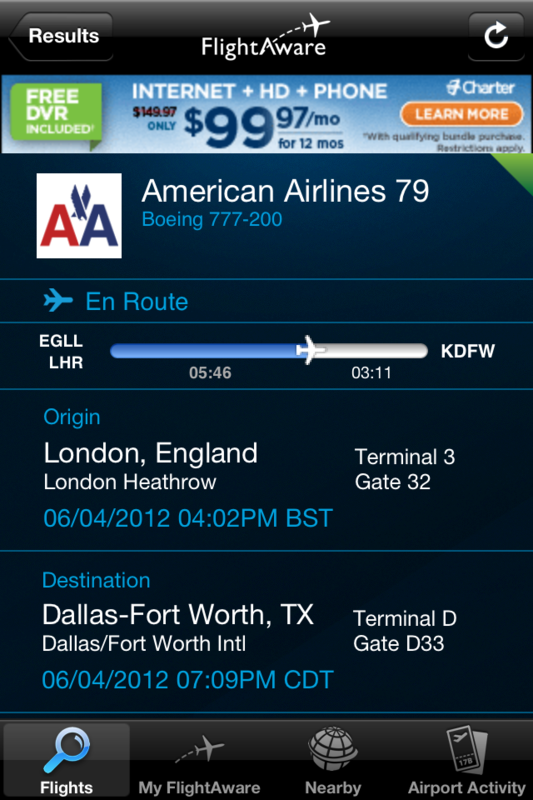 I was even following her flight with an app on my phone and iPad. Jeff was gone to Dell City the last week she was gone. So it really bothered me not having my peeps home. And the first weekend she was gone Hallie was gone to Krum visiting friends. This Mama likes her chicks near. Since she comes in so late the plan was for Morgan to pick her up from the airport. Anyway the day she was supposed to be home, as I was making coffee that morning I got an idea and I know it was from Granddaddy. That we ALL load up in true Bertrand fashion and go meet her at the airport, even though we know she’s going to her house but it would just be so Bertrand to surprise and do something so wacky especially so late in the evening. I mentioned it to Hallie and she thought it was a great idea, she even thought it would be perfect for us to be playing tic while we wait on her. I mentioned it to Aunt Penny and of course she wanted to go. Aunt Mae is here visiting Grandmother so they wanted to go too. I told Nana but I figured it would be too late for her and she declined. Only a Bertrand understands this silliness anyway. I invited Micah to go with us since her bf Jason is out of town I knew she would want to be included and be a Bertrand for a night. So we loaded up, went to Lubbock, in the rain, the fabulous glorious rain. Ate supper at Chili’s then went to the airport. 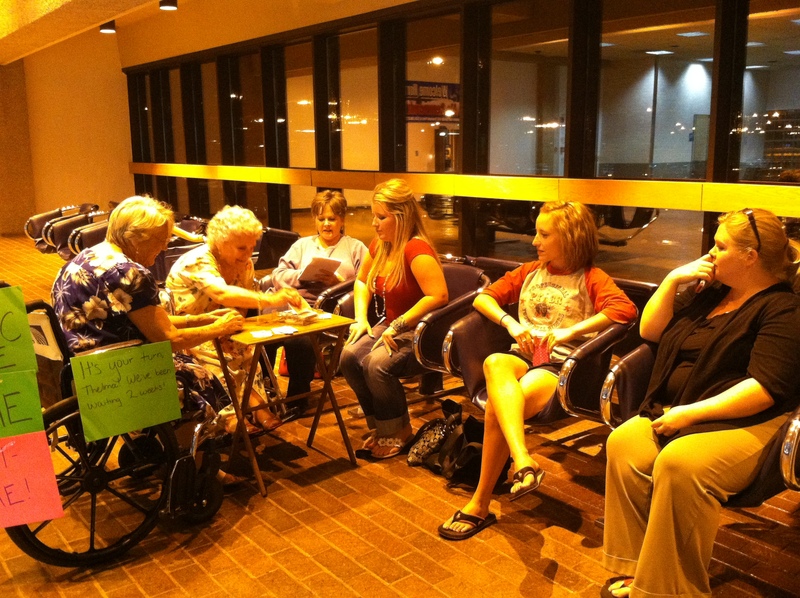 Penny brought a TV tray and when we got to the airport we got wheelchairs for Grandmother and Aunt Mae. Not because they needed them but because we needed chairs to sit across from the long row of unmoveable chairs in the waiting area in baggage claim. Micah carried the TV tray with authority while Hallie and I wheeled Aunt Mae and Grandmother giggling all the way to pick out our spot. We got all situated then the tic playing began. I did tell warn Morgan what we were doing and gave her the option that we could take Elizabeth home and she wouldn’t even need to come to the airport if she didn’t want to but she came anyway. It was her job to bring a Route 44 Sonic diet coke. There wasn’t hardly anyone at the airport only a couple of other parents/friends to pick up their loved ones. But I guarantee no one was having more fun than the Bertrand’s. It made me so sad that Husband wasn’t able to be there, when I first told him about the “idea” he said “you’ve got to do it”! So we waited and played tic and giggled at how funny we were. We did get some strange looks because we had our whole card playing set up. Elizabeth texted Morgan that they were on the ground. We were getting so excited. We were fixing to play Queens when she came in she saw Morgan first and was visiting with her, she finally looked our way and noticed us. We were hollering “Tic” to get her attention. She just started laughing. It was that moment that this whole thing was about! Ha Ha. 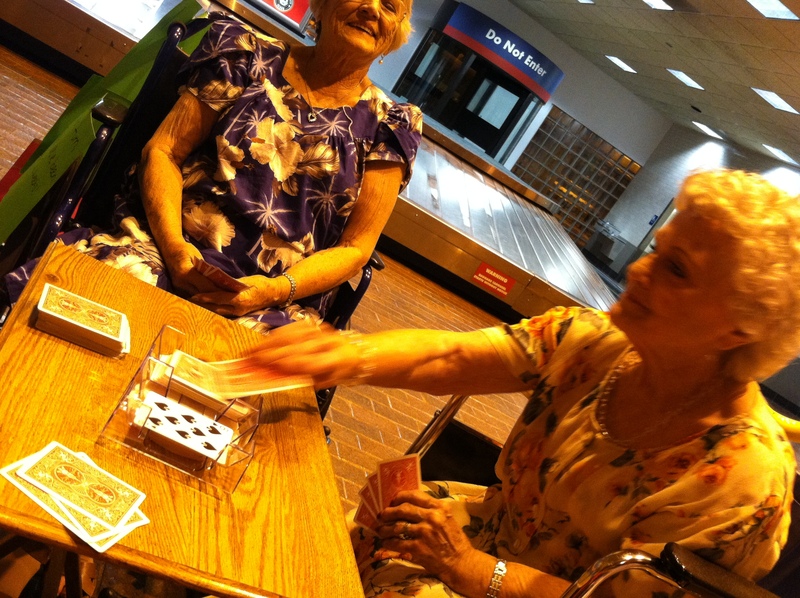 Later we asked her what her traveling companions thought about us doing that, she said they all felt so unloved. Yay! Success! We were able to “love” Elizabeth in true Bertrand fashion. We drove home in the rain at midnight knowing we’d pulled off a successful Bertrand event. I know Granddaddy was there with us.